The powerful digital learning platform, which transforms trusted Jacaranda content to make learning more personalised and visible. Let David Sheil, from St. Dominic’s College, share with you how Jacaranda’s learnON Platform has helped his students progress, identify learning gaps, support learning through engaging multimedia and make learning more accessible and visible. At the beginning of 2019, we launched the exciting fully-updated learnON platform. Based off feedback from teachers and students, these updates provide users with a seamless digital learning experience and even greater opportunities for teaching and learning. Easy access to theory/reading content, media, questions, answers, solutions and more, creates a seamless learning experience. Hundreds of videos and interactivities are embedded at the point of learning (no more opening in a different browser tab!) to support and enhance learning. Immediate feedback via auto-marked questions and worked solutions or exemplary responses help prevent the creation of misconceptions. Teachers have full visibility into students results, providing evidence-based insights into your students’ progress, engagement and understanding. 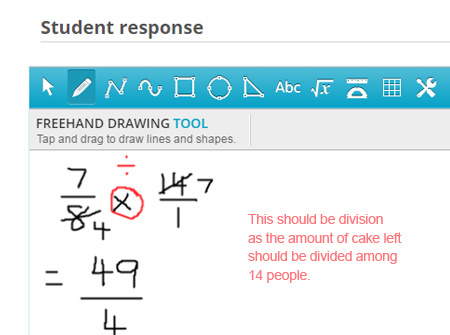 Teachers can answer questions and comments online, providing real-time feedback in assignments or assessments, and annotating students’ working via the workboard. 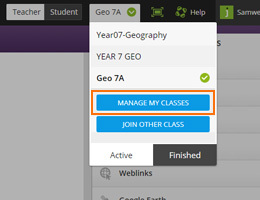 The MANAGE learnON CLASSES Tool gives teachers complete control: from creating classes, connecting to students, and adding or removing students from the learnON classes. Teach Senior subjects? Starting in 2019, all new Senior titles will be available in learnON. learnON is a digital learning platform that delivers trusted Jacaranda resources in new and improved ways. 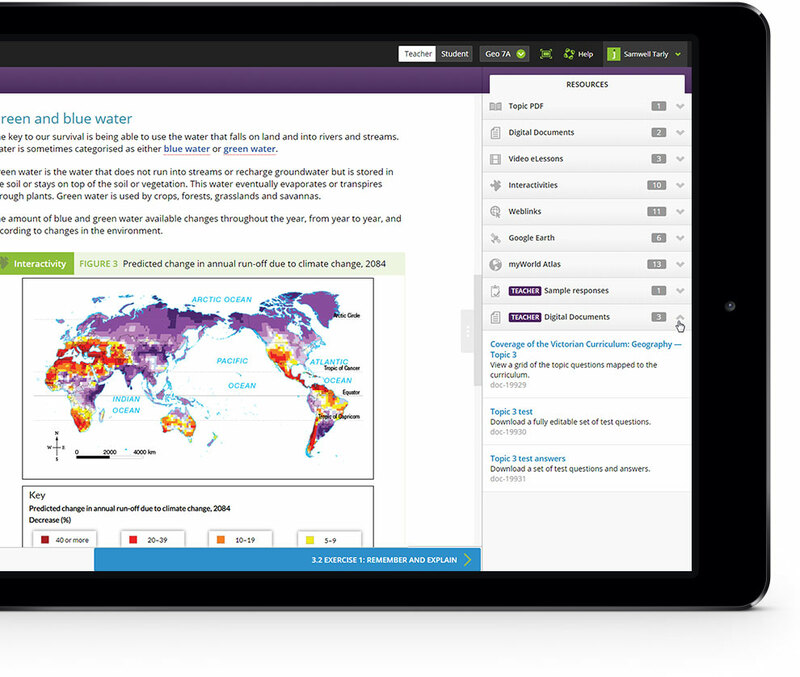 learnON is just as easy to use as eBookPLUS, but it is a fully immersive digital learning platform for students. What is the difference between eBookPLUS and learnON? eBookPLUS is an eBook platform that Jacaranda launched in 2008. 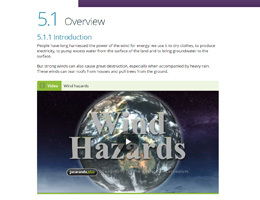 It is the electronic version of the student textbook that also includes a range of additional digital resources such as videos, interactivities, links to relevant support material on the internet and downloadable documents, spreadsheets, presentation files and worksheets for easy customisation and editing. 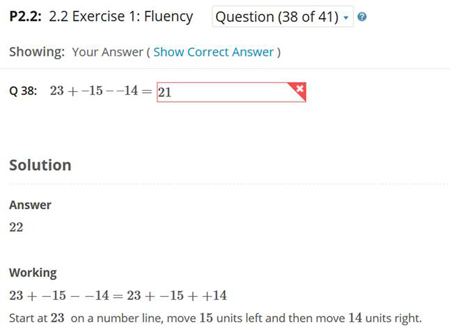 eBookPLUS is a one-way teaching and learning tool, meaning students aren’t connected to their teacher or class. learnON is an immersive platform from Jacaranda. 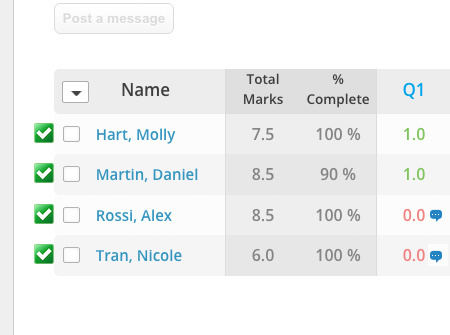 It is a powerful learning platform that allows teachers to connect with their class and track their progress. Exciting features include access to everything in one place (including theory/reading content, media, questions, answers, solutions and more), embedded videos and interactivities, worked solutions and exemplary responses for every question, and interactive questions that provide students with instant feedback. learnON does not replace eBookPLUS. learnON is offered in addition to eBookPLUS, enabling you to teach your class your way. Does learnON come with eGuidePLUS? No. With learnON, there is a single learnON title for both teachers and students— meaning there’s no need for teachers to purchase a separate eGuidePLUS. Your teacher-only resources will be available in learnON, in the teacher view. Students will only see a student view, while teachers can toggle between teacher and student view with the click of a button. Can I use learnON offline? Yes, you can. All learnON titles come with a printable (PDF) that can be used offline, giving teachers the flexibility to teach their class, their way. learnON can also be used offline via the Jacaranda iPad and iPhone app. Students can download the app in the Apple App Store (available here). To use the app, students need to log in using their JacPLUS username and password and download the resources they need. From there, all resources will sync automatically with the JacPLUS bookshelf. Does learnON enable the use of a range of teaching strategies? Yes! 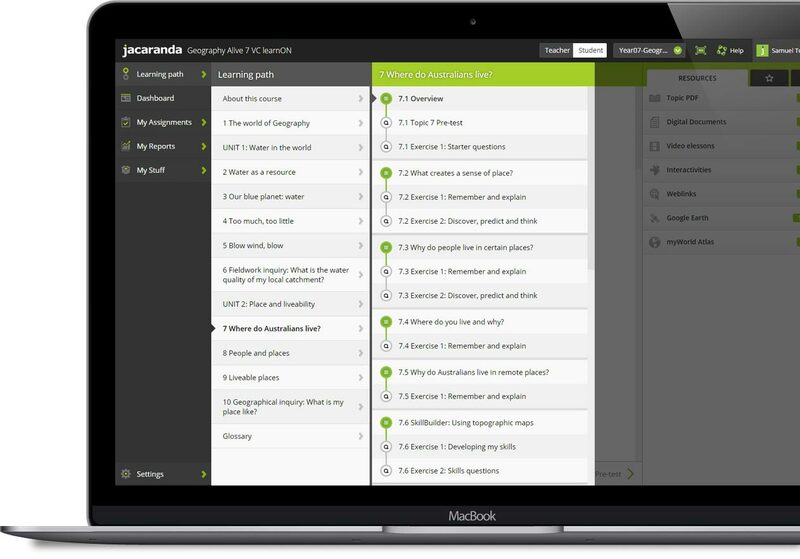 The Jacaranda learnON platform provides opportunities for teachers to implement flexible pedagogies including, but not limited to, a constructivist approach, a flipped classroom approach, or a more traditional approach. learnON is at its most powerful when used to differentiate and personalise instruction. Does learnON include supplementary digital products (e.g. assessON, Knowledge Quest, myWorld Atlas, etc.)? learnON comes with a breadth of resources and interactives, as well as embedded links to our supplementary digital products (e.g. assessON, Knowledge Quest, myWorld Atlas, etc.) – for easy and seamless access to all of your Jacaranda teaching and learning resources. learnON is at its most powerful when working in conjunction with any of these digital supplementary products. The interconnectedness of learnON with assessON, Knowledge Quest, myWorld Atlas etc., delivers variety and richness in learning outcomes for students, both inside and outside the classroom. However, our supplementary products are supplied separately to learnON and can be purchased individually. Can I access learnON from my school’s existing LMS? Yes, learnON has Single Sign On integration with the Canvas, Google Classroom and Moodle Learning Management Systems. How much does learnON cost? Most individual learnON titles start at RRP $44.95 per subject and can be purchased directly online from the Jacaranda Shop or through your preferred bookseller. We understand that every classroom is different, that’s why all learnON titles come in multiple formats, and when you purchase learnON, you also get access to the eBookPLUS version and the downloadable PDF, all in one place and at no extra cost – so you can teach your class, your way. learnON titles are also available as part of the Jacaranda Digital Bundle (a package of 10+ premium digital resources) starting at $110 per student. To discuss specific pricing for your school or for more information, please contact your Jacaranda Sales Consultant. How do I buy learnON? Individual learnON titles are available as a standalone purchase, as part of a value pack or as part of the Jacaranda Digital Bundle (a package of 10+ premium digital resources) to suit the needs of all schools and individual parents. For individual online purchases, visit the Jacaranda Shop. For institutional licenses or bundle purchases, contact your Jacaranda Sales Consultant. What types of schools can use learnON? learnON is suitable for all types of schools (government, independent, religious) and book systems (booklist, bookhire, class set). How do I know if my school is ready for learnON? All schools can take their digital resources to the next level with learnON. For the 2019 school year, learnON is updated to offer a simpler and more intuitive navigation. Features including printable PDFs, resources, assignment policies and more – are also being updated and categorised, so that teachers can easily access their teaching resources in just a click of a button. All learnON titles come with other formats such as eBookPLUS and PDFs, accessible from the same place in your JacPlus bookshelf. This means all teachers and students using Jacaranda learnON titles can choose to use different formats interchangeably and flexibly, depending on their needs. Based on our previous experience, we’re confident that all schools can successfully make the switch to learnON. Training and support are also available – simply ask us! What do I need to use learnON? – a good internet connection. Is learnON easy to use? Like all new things, learnON may take some getting used to. For the 2019 school year, we’ve updated learnON to be even more intuitive and simpler to use for everyone. That’s why we anticipate all teachers and students can confidently navigate and use each title in learnON with minimal training. In addition to ongoing training and support, each learnON title includes walk-through tutorials (appearing as interactive tip-balloons overlaid on the screen) that guide users through specific tasks step-by-step and in real time. Will training be provided for teachers? What support is available? Or get on-demand training with Jacaranda learnON Masterclasses for teachers equips you with all the necessary knowledge to capitalise on the exciting features in your new learnON title. Great for new and existing users, with this resource you will be able to confidently and independently use learnON in your classroom. Access these courses at any time from your JacarandaPLUS bookshelf and click on the thumbnail under Academy – Jacaranda PD. Jacaranda Bundle customers receive additional support through a dedicated Digital Account Coordinator. Will print customer receive an activation code for learnON? Yes. All new Years 7-10 print editions published for 2019 come with an activation code for learnON. Check out the complete list of all new Jacaranda titles for 2019. Contact your Jacaranda Sales Consultant to find out what is available with your specific print title. What about second-hand print customers? If you are the second or third user of a learnON or eBookPLUS registration code, you will be given access to the Lite version of your title. To find out what Lite access means to a second-hand owner, and how to upgrade your eBookPLUS to the full version, please click here. To check the status of your registration code, please click here. How long is the digital license duration for Jacaranda digital resources? All digital resources connected to a JacarandaPLUS (JacPLUS) account (such as learnON, eBookPLUS, assessON, studyON, etc.) are subscription-based products and expire at the end of the licence duration for your purchase. To understand the duration of your digital license, please click here. 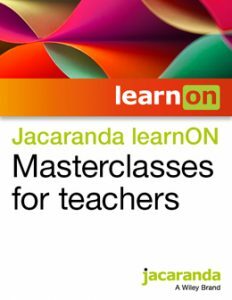 Jacaranda learnON Masterclasses for teachers equips you with all the necessary knowledge to capitalise on the exciting features in your new learnON title. Great for new and existing users, with this resource you will be able to confidently and independently use learnON in your classroom. Access these courses at any time from your JacarandaPLUS bookshelf and click on the thumbnail under Academy – Jacaranda PD. Please fill in the form below to express your interest in seeing a demonstration of the learnON platform for your subject, or to request teacher access.